Roman Blinds are a classic; the simple horizontal pleats suit all kinds of decor. A vast range of coloured and patterned fabrics is available. They are ideal where elegant simplicity is sought, and are most often used in bedrooms, studies and other smaller rooms. Roman Blinds offer privacy in a contemporary and casual way. Among the most in demand of our blinds today are the roman blinds. 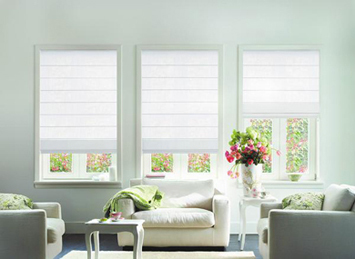 With our exquisite customization of these blinds, many have come to call them as the best roman blinds Melbourne has. It is thanks to our 18 long years of being in business that we are able to hone our craft and we only intend to present much better designs in the future. Our family business has always been keen on providing what the clients wants so we always listen to your inclinations as well as get familiar with the trends that come and go. Learn and see more about our services and goods, which are made on-site by the way & also we provide all kinds of blind repairs in Melbourne. 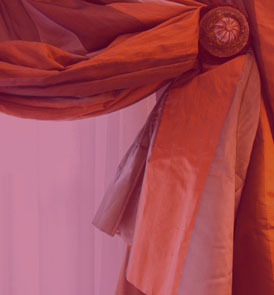 You can definitely find the best custom made and roman blinds Melbourne has once you get in touch with us. We offer free measure and quote so that we can easily prove why we are your most trustworthy source of high quality blinds. Most people would think of blinds as just implements that promote privacy or perhaps protection against the hot glare of the sun. However, they would be missing out on the fact that blinds can actually serve as aesthetic treatments for your home’s interior. They come in different forms and types which mean that it is up to you to match what suits the design of your interior. While there are a lot of blinds that are well-suited for either traditional or modern home designs, it might still be a tricky task to find one that clearly complements your home as well as reflects your personality. In order to get blinds exactly as you want them, you might as well just opt for custom made blinds. Here at PJ Curtains, we ensure that we practice the attribute of versatility so that we can provide your personal specifications. We believe that in order to give you the highest extent of satisfaction, you should be given the privilege to identify your desires and accordingly, we should be able to deliver. Not only do we make the necessary adjustments on the style and design, we can also make modifications in terms of the level of privacy you would want your blinds to provide. Basically, with our offers of custom made blinds, you effectively become the designer of your own blinds. See our display that exhibits our fabric samples. Through this you will see our extensively ranged design skills.